^ Holmwood, Leigh (10 September 2009). 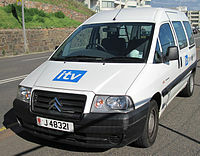 "Channel TV criticises ITV's double compliance decision". the Guardian. Retrieved 18 March 2018. ^ "Ofcom Content Sanctions Committee" (PDF). 2 October 2009. p. 11. Retrieved 7 May 2011.